Price is 10% below the initial Lego retail price, a € 1.04 discount! This comes down to 11.78 cent per brick. 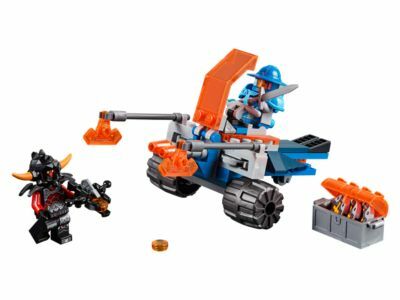 The Knighton Battle Blaster (70310) Lego set is no longer directly available from the sites below. However, 3rd party partners of these sites might still have the set available. Alternate description Fire at will against the Ash Attacker with the double disc shooter, and reload before he attacks, in this fun set featuring 2 minifigures.